The fate of this locomotive has always been a controversial one. 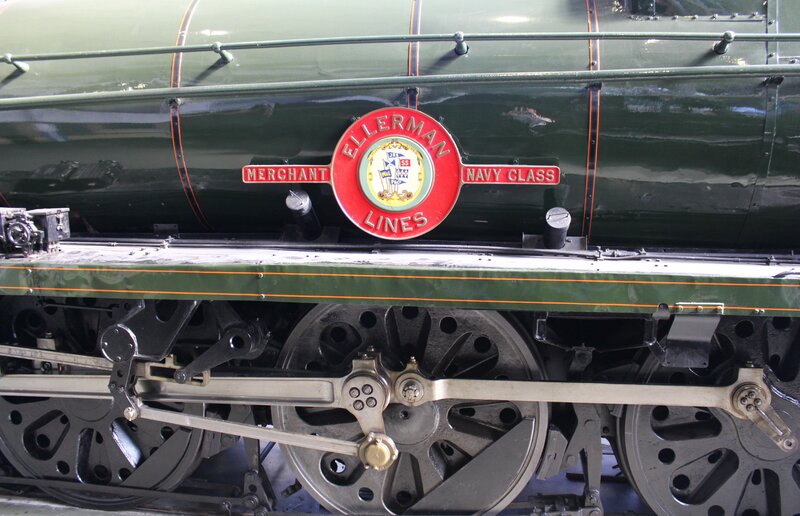 Merchant Navy class 35029 Ellerman Lines was once one of the pride’s of the Southern Region’s steam locomotive fleet. Although it avoided death in a scrapyard, this locomotive did not survive another cutters torch completely and will never be steamed again. 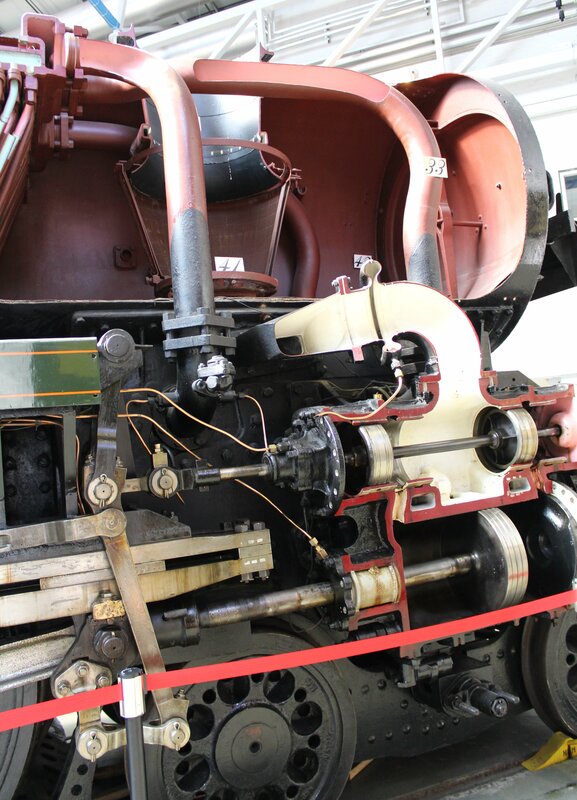 It now serves as arguably the biggest 3D diagram of how a steam locomotive works. The controversy of course comes from the fact that this piece of UK Heritage is now doing the job a diagram could do. However, the controversy is not one of the biggest in steam preservation. 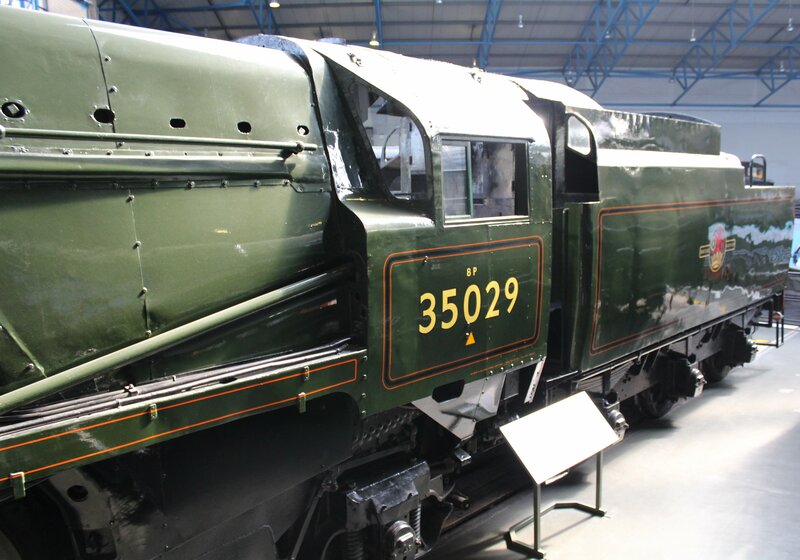 35029 is one of 11 surviving members of class of 30 locomotives that are so big that they are not economic for use on many preserved lines. As such, this does give things a different perspective. As 3D diagrams go, it is rather good too! It is a great way to show how a steam locomotive works. One of the best sources I’ve come across on this subject is from a fellow wordpress website (click here to read it). If you compare the two pictures above with this piece you will get an impression of how good the sectioned 35029 Ellerman Lines is. By walking to the other side of 35029, you get to see how the steam locomotive should look. This is great for those learning about what sits within the locomotive as you can compare the internal with external views. Originally built with air smoothed casing in Eastleigh in 1949, this locomotive was rebuilt to a more “standard” design in 1959. It is the most powerful type produced by the Southern Railway and was classified as 8P and as such is an impressive machine. 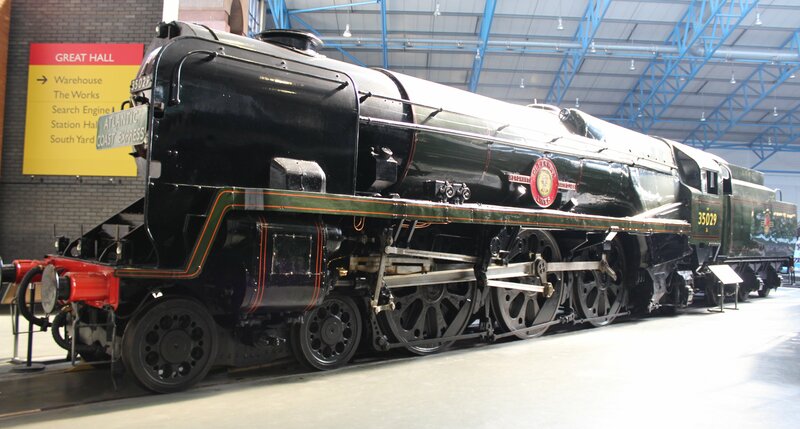 No other single British express locomotive class of this power classification survived in such numbers as the Merchant Navy class and there is certainly no others that could be justifiably cut-up to be used as an educational tool. Overall my personal opinion is that Ellerman Lines is serving a good educational purpose, however I do wonder if it would have been sectioned if people could have predicted where computer technology was heading. This kind of demonstration could easily have been done using computers, in fact a computer program probably could do a better job. But hindsight is a wonderful thing and when 35029 was sectioned, this was not the case. It now serves as a large physical demonstration in the biggest railway museum in the world that is regularly visited by schools, which has got to be good thing in my opinion! Feel free to share your thoughts! 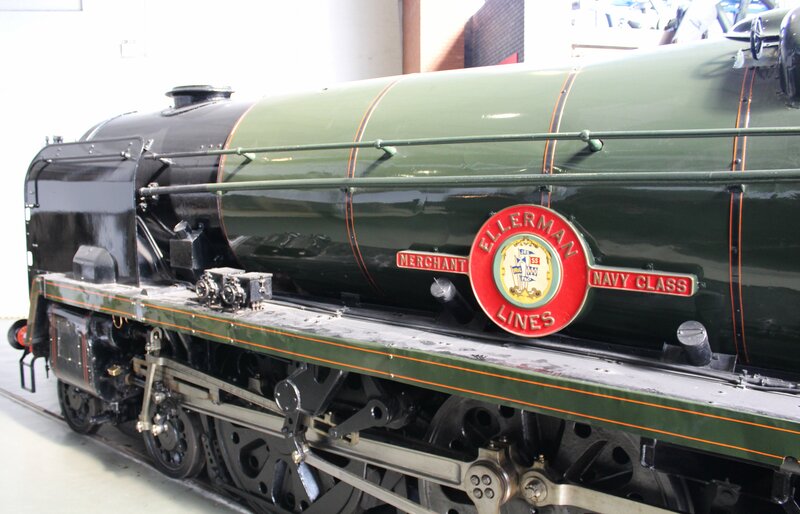 To read about other exhibits to be found in the National Railway Museum during this visit in 2013, please click here.